Edward Steichen believed photography was only beginning to realize its potential, not only as a medium full of expressive possibilities but also as a means of mass communication. 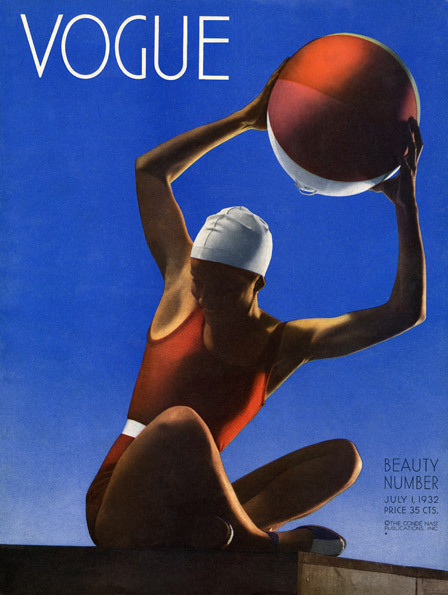 In the pre-television era, magazines were the “media” of the moment. When Condé Nast offered Steichen the job of chief photographer for Vanity Fair and Vogue, he eagerly accepted. Steichen learned how to photograph with the printed page in mind, knowing his images would be cropped, put in decorative “frames,” juxtaposed with drawings and combined with typography. Undaunted by these constraints, he created a new hybrid art form for the page. A key part of Steichen’s success was his expert use of artificial light to create dramatic scenes and portraits. Edward Steichen: In High Fashion, the Condé Nast Years, 1923 –1937 is curated by William A. Ewing, director, Musée de l´Elysée; Todd Brandow, executive director, Foundation for the Exhibition of Photography; and Nathalie Herschdorfer, curator, Musée de l’Elysée. The exhibition has been organized by the Foundation for the Exhibition of Photography, Minneapolis, and the Musée de l’Elysée, Lausanne, in collaboration with the Art Gallery of Ontario, Toronto. Generously supported by The Volunteers of the Art Gallery of Ontario.